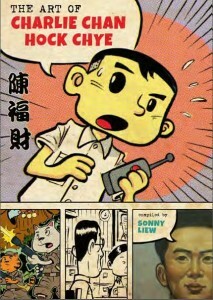 This week marks the international release of comics creator Sonny Liew’s controversial-in-Singapore graphic novel The Art of Charlie Chan Hock Chye, and it’s already garnering praise and acclaim, furthering Liew’s goal to tell the story of Singapore’s silenced, secret — and what the country’s censorious arts council calls “sensitive” — history. In an interview with Comic Book Resources, Liew talks about what it meant for him to create a book about the history of his home country that those in power have tried to keep hidden for decades. “I don’t think we have the same kind of focus on the country’s history the way American schools do, so you really only get bits and pieces,” Liew noted when asked if he had an understanding of the “unofficial history” of Singapore before starting this project. It was these disjointed bits and pieces that inspired Liew to tackle a difficult subject that would become a point of controversy and almost prevent the production of his graphic novel. Last year, shortly before going to press in Singapore, the government-linked National Arts Council withdrew their grant to aid in the publication of the graphic novel, citing concerns about the book’s “sensitive content, depicted in visuals and text.” As stated in the grant application, NAC reserves the right to withdrawal funding for “illegal or negligent acts that occur during any point of the funded project, which will adversely affect the reputation of the National Arts Council, any government bodies, public institutions, national leaders or (the applicant’s) organisation.” In this case, the “illegal or negligent act” was the depiction of politically sensitive history in Singapore. 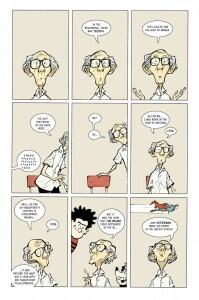 An amalgam of fiction and non-fiction, told in a variety of different styles emulating comics creators who inspired Liew, the book’s initial success has carried over to its international release as well. Called the “first superlative graphic novel” of 2016 by The Beat, the art from the book is being celebrated in an exhibition at Mulan Gallery later this month. “This book was a chance to really get a handle on the material, to get a better understanding of the facts and interpretations, and then to try to figure out a way to present it in an accessible way,” Liew told us in an exclusive interview with CBLDF shortly after the NAC defunding. What I’ve tried to do is offer a more inclusive look at things, or perhaps more fundamentally, to suggest the need to for a critical and skeptical approach to whatever narratives we encounter, because at the end of the day, everyone has their own agenda to sell. Read Sonny Liew’s full interview with CBR here, and check out our exclusive interview with Liew in the wake of the NAC controversy!